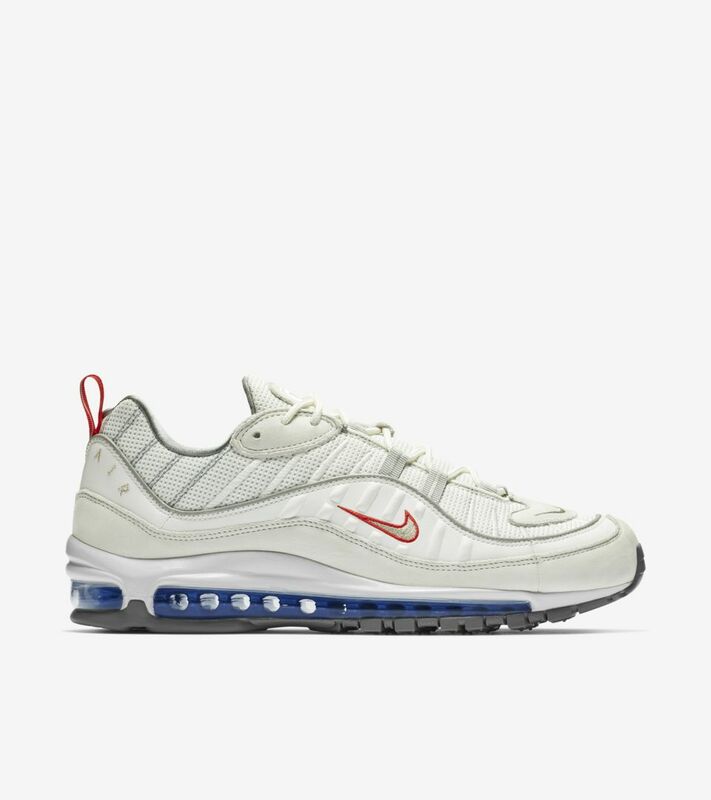 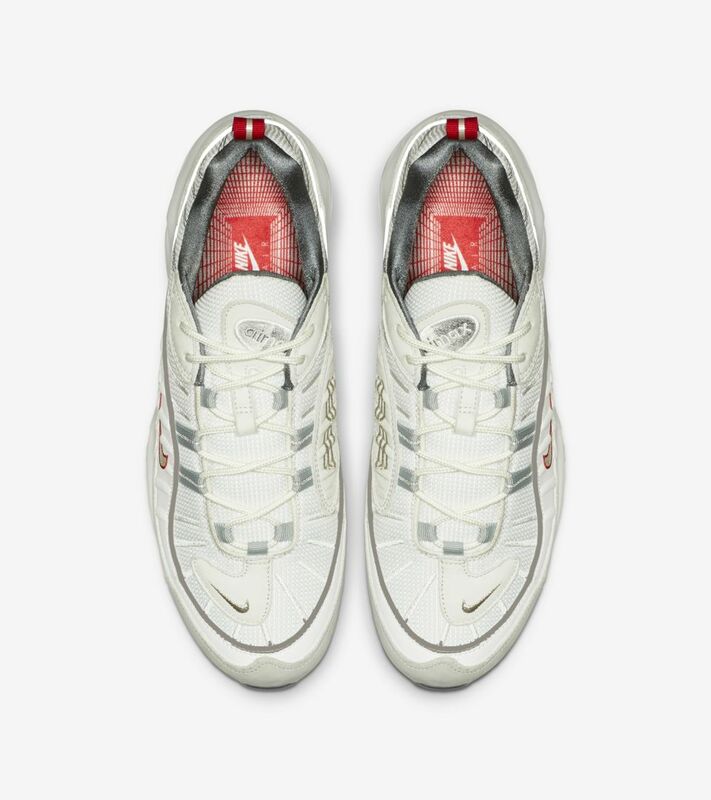 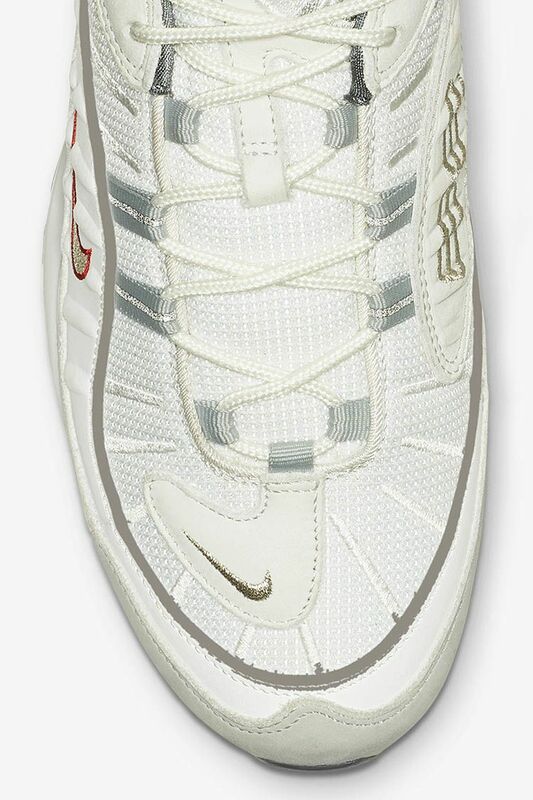 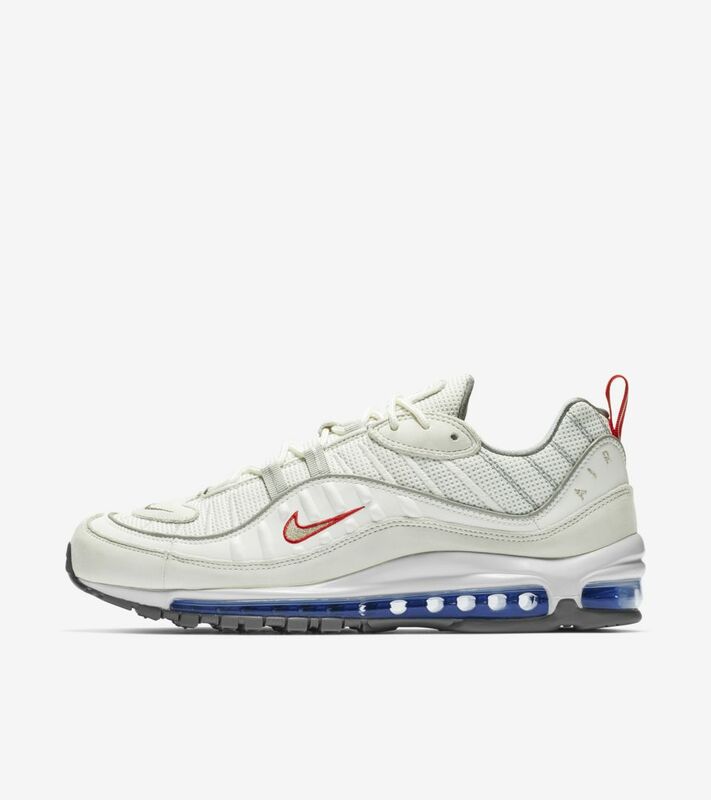 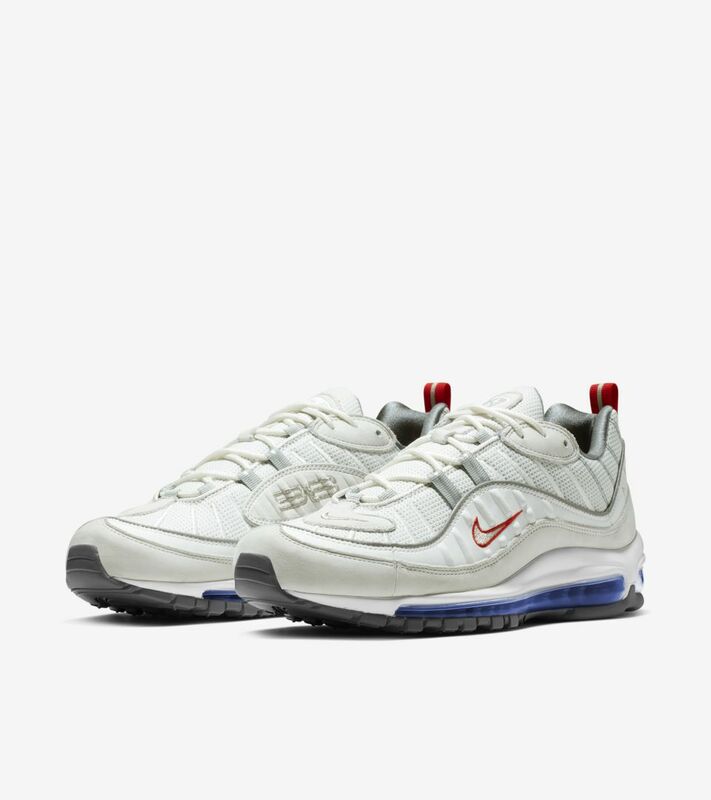 The Air Max 98 turned heads the moment it hit the streets in 1998 for its multi-levelled wave aesthetic and full-length visible Air unit. 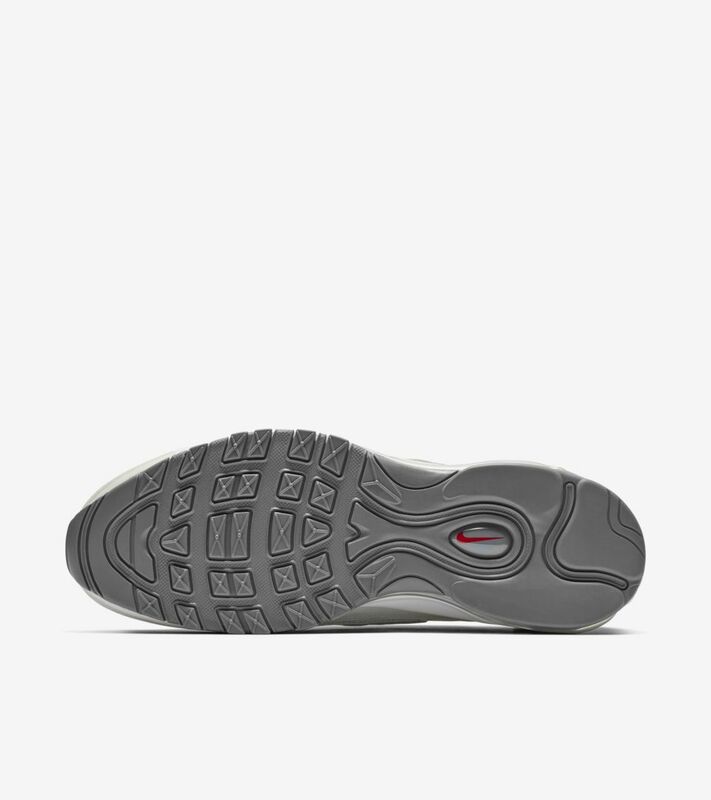 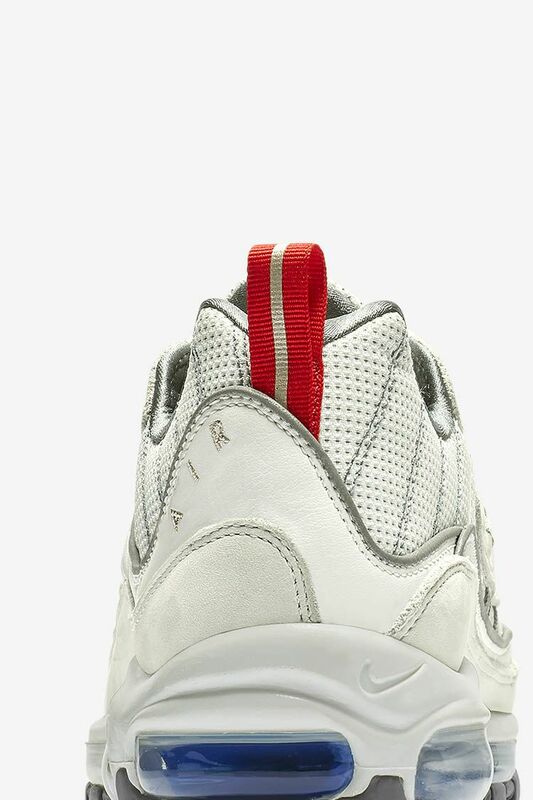 Blending textile and leather materials, the upper delivers a layered look while the foam midsole provides stability and comfort. 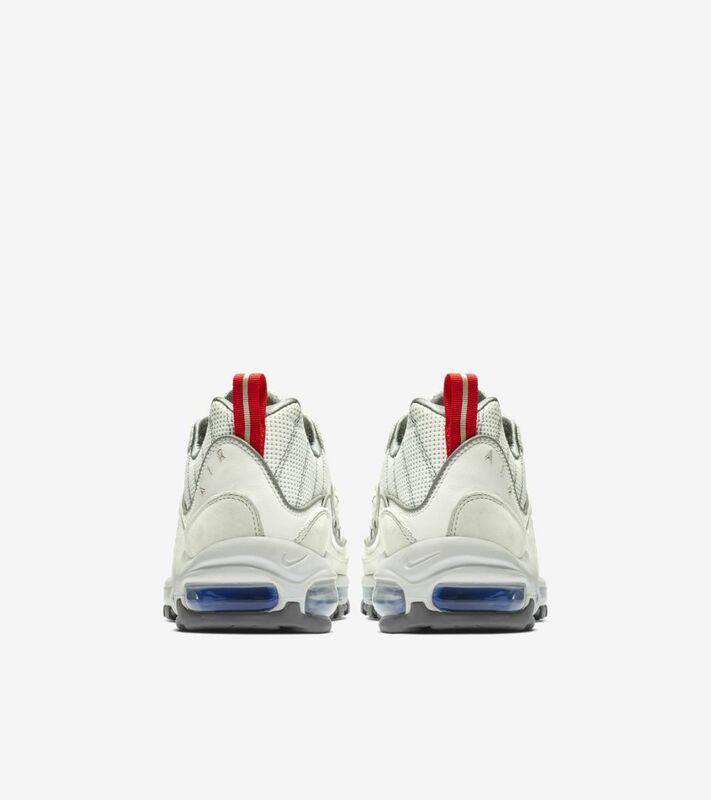 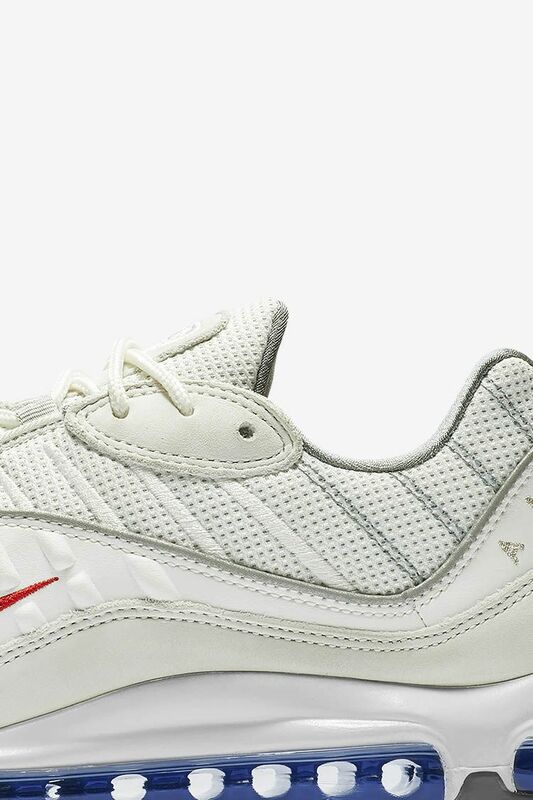 This latest colourway arrives in a white upper with red and silver accents.